St. Andrews native Kendra Gale has come a long way in the 11 years since she released her self-titled debut effort, during which time she has not only earned the accolades of fans throughout the country, she also scored a pair of East Coast Music Award nominations as well as a CBC Galaxie Rising Star Award at Fredericton’s venerable Harvest Jazz & Blues Festival. This Wednesday night, Gale celebrates the release of her latest album, Kicking & Screaming – her sixth effort over all – with a show at Moncton’s Plan b Lounge. 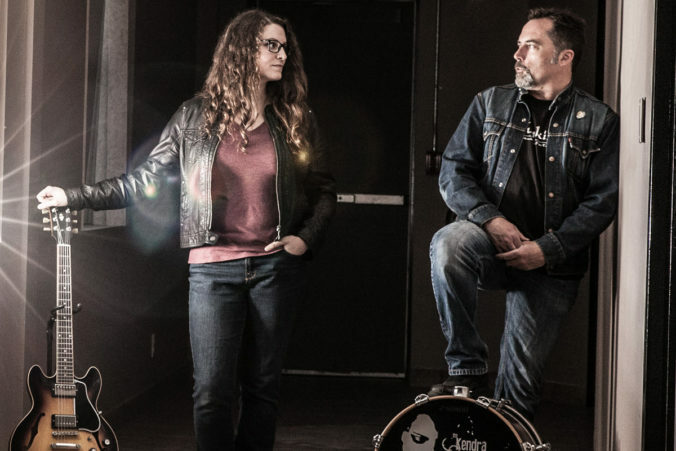 The album marks the third effort released under The Kendra Gale Band banner, and arguably more importantly, is the first recording on which she and drummer Warren Beatteay have performed together, despite his having joined Gale approximately three years ago. Recorded at Lakewind Sound Studios in Sydney, N.S., Gale says she and Beatteay took a somewhat minimalist approach to the making of Kicking & Screaming. All 16 tracks featured on the album boast Gale’s blues-inspired guitar work, while Beatteay’s timing is impeccable. Beyond that, however, the songs feature little in the way of bells and whistles, which she claims was exactly their intention. “We wanted this album to reflect the whole what you see is what you get mentality. With the last record, we often had to dispel the notion that the two of us just somehow weren’t capable of sounding like a full band. This album is a good representation of what we are all about,” Gale says. Gale comes by her long-standing love of music honestly: Her older brother played guitar and convinced his sister that she could keep time on a collection of pots and pans. Although she continued to pursue playing drums through high school, she took an interest in writing her own material and began dabbling with the guitar. As a teen in attendance at a music camp in Saint John, one of her instructors saw her playing guitar and singing to herself, leading him to ask her if she wanted to perform a song on guitar at the camp’s closing concert. When: Wednesday April 12, 9 p.m.